Election season is upon us – polling numbers and sound bite analysis fill the airwaves. There’s another sound that becomes all too familiar during election season – the sound of the incessant ringing of phones due to unwanted robocalls across the homes of millions of Americans. So, why are unwanted robocalls still such a major issue? Let’s have a look at few telemarketing and robocall myths. Myth: Listing a phone number with the Do-Not-Call Registry will eliminate all robocalls. In fact, the Do-Not-Call Registry doesn’t protect consumers from calls made by non-profits and political pollsters. Myth: The Telephone Consumer Protection Act (TCPA) protects consumers from all unwanted telemarketing calls. The latest order of the TCPA provides an exception that allows banks, pharmaceutical companies and health care providers to send a limited number of communications containing vital financial or medical information to consumers–without their consent. At Ooma, we help our customers take control over their phone systems by providing technology specifically designed to combat telemarketers and robocallers. We offer three distinct types of blacklists, which are lists of phone numbers that customers would prefer did not reach them. Personal blacklist: The Personal blacklist is your list of phone numbers that you don’t want to hear from. Customers can add and remove numbers from the Personal blacklist whenever they’d like. Expanded blacklist: The Expanded blacklist taps into a third-party database of confirmed telemarketers, robocallers, and phone spammers. When an Ooma customer enables the expanded blacklist on their account, they will be protected from unwanted and unsolicited calls from nearly 900,000 known sources of phone spam. Community Blacklist: The Community blacklist contains thousands of phone numbers that are known sources of spam and telemarketing calls. When an Ooma customer enables the community blacklist on their account, they’ve instantly blocked phone numbers that the Ooma community has collectively found to be invasive or annoying. So, before you get another annoying unwanted call, see how our robust blacklisting features can bring you some peace and quiet this election season and beyond. Where is “Nomorobo”? They say they are on your web site and all we have to do is click on it. I can’t find it. Very Nice post and thanks for sharing it. I read it carefully and get many kinds of information. This may not be the right place for my question, but it’s the only one I’ve found. 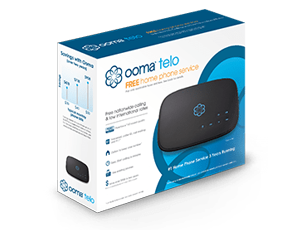 I have learned that my phone system (Ooma) has blocked telephone calls from my credit card company (PayPal Master Card). Blacklisting their number is not something I requested, but it may be on one of Ooma’s two other optional lists of blacklisted numbers. If there is a good reason for this, what is it? I know what the blacklisted number is. So, if there is no reason for the number to be blocked, how can I restore it? Hi Ernie. Please call our Customer Support number at 866.452.6662. Monday-Friday 5am-5pm PST, Saturday-Sunday 8am-5pm PST. I have discovered an amazing way to completely, 100% eliminate telemarketing, robocalls, marketing and political calls from our landline! 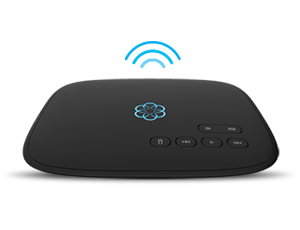 When we bought Ooma, I was too cheap to port over our number since that was going to cost me $40 or something. And we have a triple play from Comcast Xfinity that means that we would not save any money by canceling our Comcast landline service. So we kept the comcast number, got a new number from Ooma and shared the new number with the friends and family who actually call us on our home landline (now Ooma). We leave the comcast number out there in the world, with a voice mail on it which gives our new home number. But never ever check the voice mail on it. Since doing this (several months and one local election ago…), we have literally received zero calls to our landline from any sort of commercial or non-profit org. The silence brings a joy to our family which is just amazing. I would highly recommend this as a strategy for anyone else in a similar situation! Why aren’t you showing the phone numbers so I can block them? Those numbers show up on my phone’s call I.D. but not in the call log on Ooma? Just figured it out. I was in the wrong place. Thought “Dashboard” was the place to go. Thanks for your patience. Hi Lenora. Please contact Customer Support at 1-888-711-6662. They’ll be able to jump into your account and troubleshoot the problem. Thanks! Longtime customer of Ooma and a Premier subscriber. I wondered how effective the Ooma blacklisting feature was as I was still receiving unwanted spam calls (not political or donations). So I had all of the personal, expanded, and community blacklisted calls sent to voice mail. As this article indicates, not all will be be blacklisted. Fully understood. In approximately 4 months of enabling this account option, I have not had a single unwanted call go to voicemail. All come to the phone. I know the voicemail works fine as normal calls can be transferred to voicemail. In short, my experience is that Ooma blacklisting simply doesn’t work. It’s marketing hype. I didn’t know that the do-not-call registry will not protect consumers from calls made from non-profits or political pollsters. I can see why this would be important to know so that you can take the necessary steps to block these if desired. My wife and I were so tired of receiving calls from robots and others that we decided to update our voicemail and never answer a call from a number we don’t know. We figure, if it’s urgent or want a call back, then they’ll leave a message.